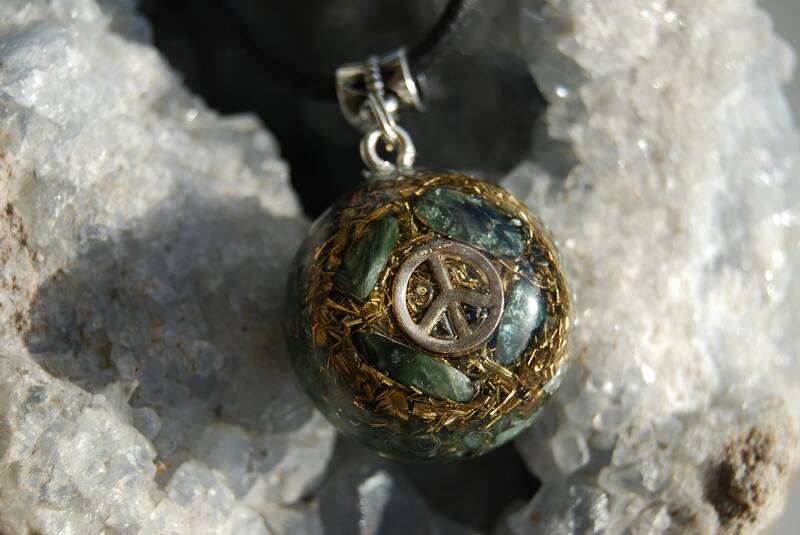 SERAPHINITE Peace Orgonite® Orgone Pendant FREE Shipping ! 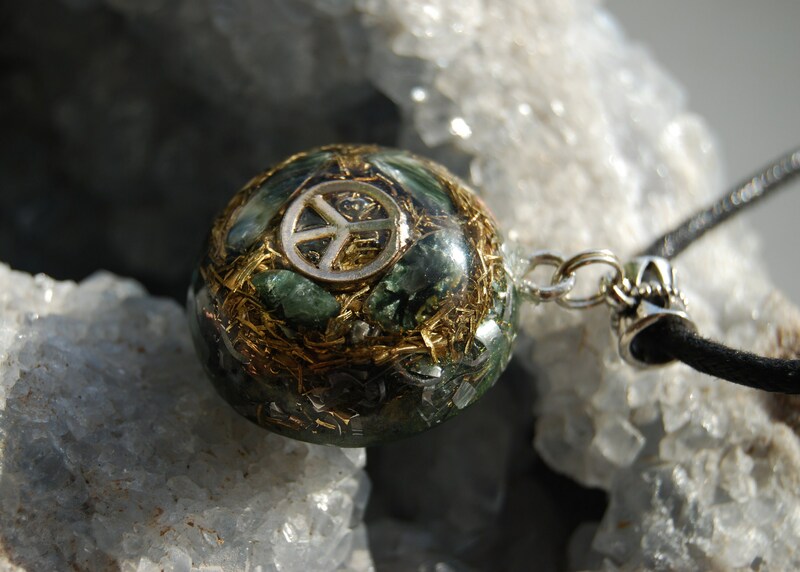 This lovely 2.7 cm / 1.1" in diameter orgonite pendant contains brass, aluminum bronze and copper shavings. 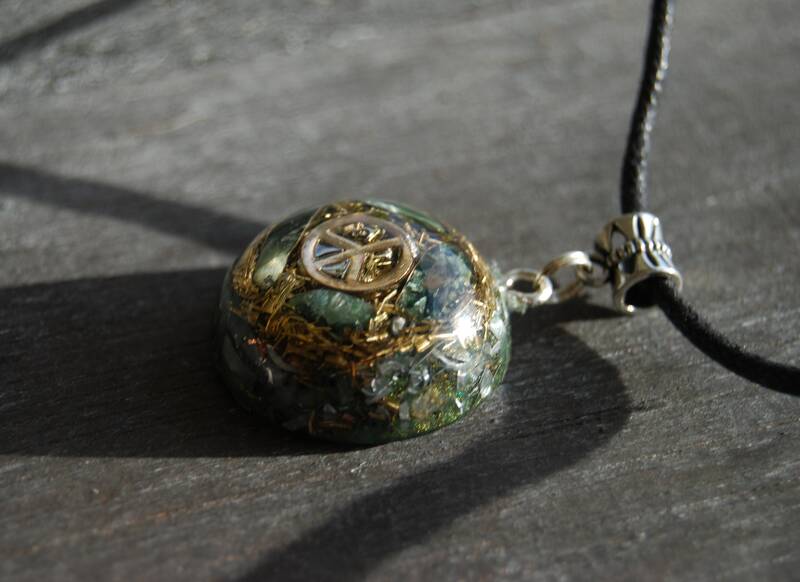 It also contains 4 pieces of Seraphinite in the front around the peace symbol , Rose Quartz powder, Pyrite powder (to enhance), Rhodizite crystal (to enhance), black Tourmaline powder (to ground and protect), Selenite powder (to charge and clean) and clear Quartz all within a durable resin setting. It has a peace ☮️ symbol in the front. 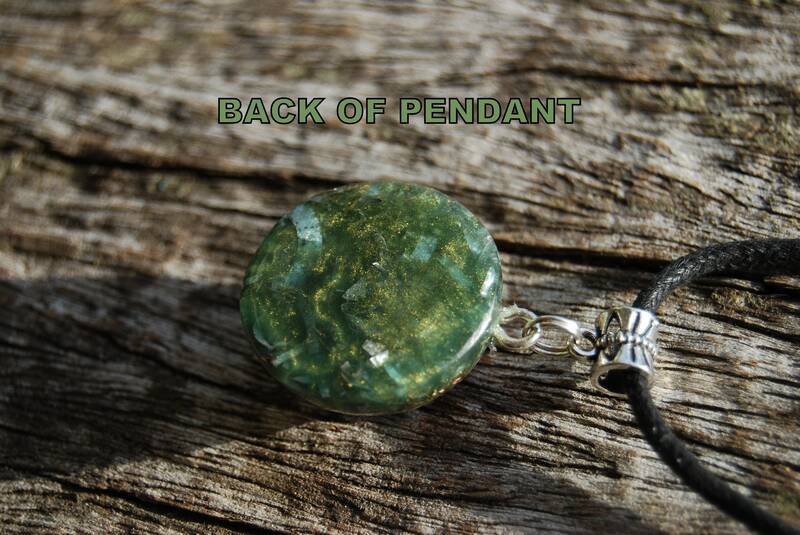 Seraphinite is definitely an Angel stone because of its higher energies and relationship with Angels. It can help you to contact Angel and your Guides and communicate with them. 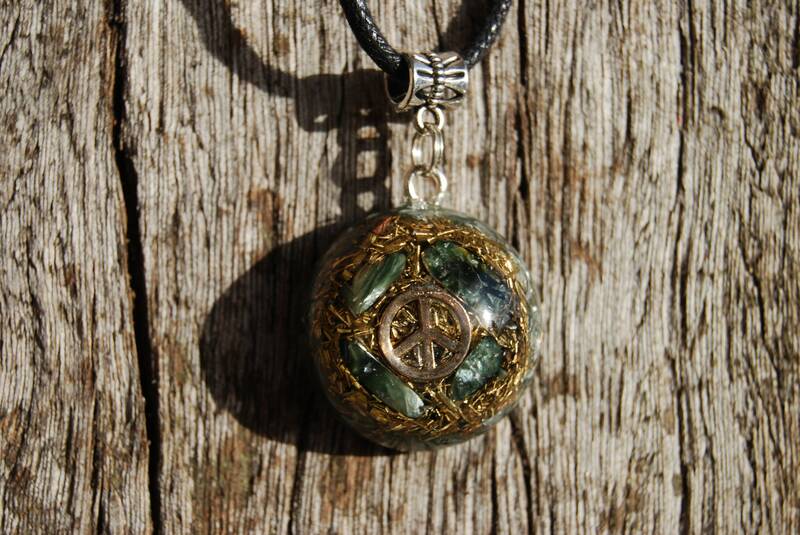 It enhances intuition and psychic awareness. 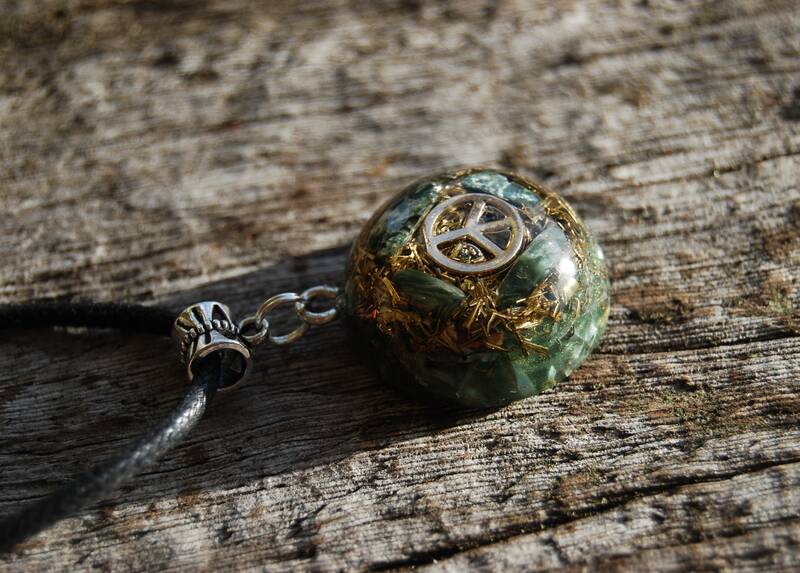 It's a purifying stone that helps you to find your higher purpose and will, and it protects your Heart Chakra. Seraphinite is also extremely helpful for all forms of transformation and transmutation, including magical kinds! Physically, Seraphinite is healing for nerves, brain cells, purification of the blood and organs and eliminating toxins, kidneys, and the liver. It is a type of Chlorite and is the most effective stone for cellular regeneration. It can cause a flush of pure healing energy! It acts as a trigger, causing old patterns of disease or imbalance to fall away and new patterns to be created. It is wonderfully suited to bringing your physical body back into alignment with Divine energy. 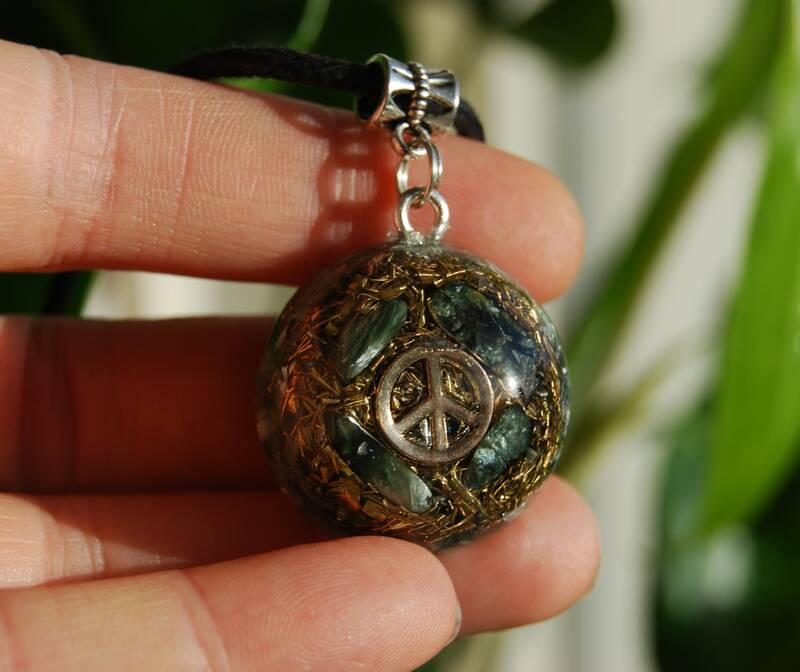 While the beautiful green shade is perfect for your Heart Chakra, it can be used on any Chakra or any other part of the body where enhanced and harmonized energies are desired.